It may not sound appealing, but after picking up a prize at the 2019 Crystal Cabin Awards at the Aircraft Interiors Expo in Hamburg, Germany, it could soon be on its way. 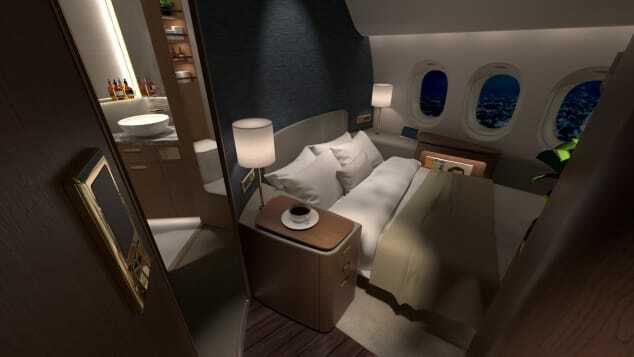 The "Cabin Concepts" award went to aircraft manufacturer Airbus, in cooperation with French company Safran. These two aviation powerhouses were recognized for their "Lower Deck Pax Experience Modules" -- compartments designed to fit into the aircraft cargo, to extend the passenger space below the standard cabin. 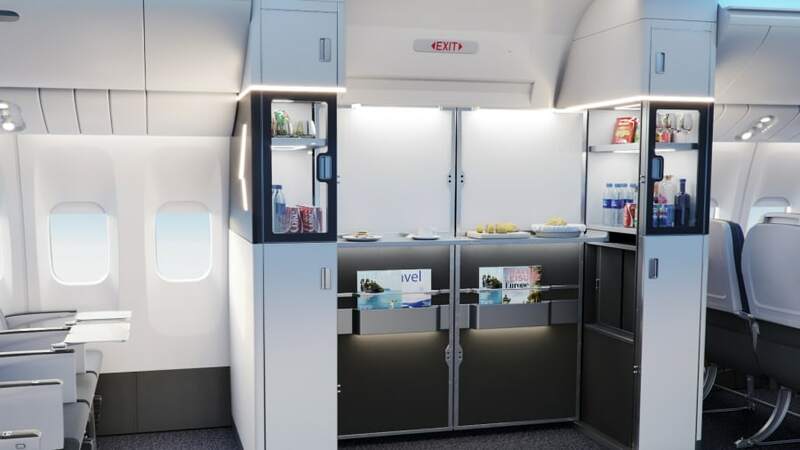 Sebastien Sivgnon, innovation projects director at Safran and Frederic Mazel, cabin product director at Airbus, told CNN Travel that the award could help propel his team's design from page to sky. The designers explained the main crux of the concept is to provide a quiet, dark -- and hitherto-unused-by-passengers -- space for travellers to sleep. It'd be up to the airline to decide how they'd sell such a concept to passengers -- would you just pop down below when you want to sleep, or could you theoretically spend an entire intercontinental flight in the windowless cargo? The duo say many passengers are keen, particularly if it's priced as a premium economy option. "What we say, for this project, is we have a dream: finally sleeping while traveling economy, which I think is really the value proposition that we try to add," says Mazel. Mazel and Sivgnon admit the experience wouldn't be for the claustrophobic passenger, but for anyone else, might be appealing. So will this be a bookable ticket anytime soon? "It depends on an airline to decide to go for it," adds Mazel. "We are ready, if they decide in the coming months, to deliver in 2021." For more conventional cabin experiences, there's the "Passenger Comfort Hardware" category, won by seat manufacturer RECARO. The German company was recognized for its long-haul economy seat, a state-of-the-art unit said to promote "sleeping comfort above the clouds" with a neck support and adjustable cushioning for supporting the back. Fliers who wish it was easier to read when the cabin lights go dim will appreciate Collins Aerospace's win in the "Material & Components" category. The company's uLED reading light was awarded for its ability to project a variety of light beams and provided targeted illumination for several seats at once. In the "Visionary Concepts" category, Paperclip Design got the gong for its "Peacock Suites" design, a super luxurious -- and super flexible -- concept that allows First Class cabins to be reconfigured according to passenger needs. Its concept allows a family compartment with a bunk bed to be easily transformed into a three-room suite. In the "University" category, Sahngseok Lee from South Korea's Hongik University won for his "1 For All" concept, designed in collaboration with seating manufacturer Adien. Lee envisioned a way of positioning various seating classes together in a tetris-like system.